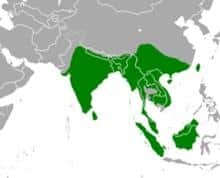 The Hog Deer is found in northern India and Pakistan as well as in parts of south eastern Asia. They inhabit areas with good levels of cover near to rivers and marshland. They can also be found in dense reed beds, thick riverside vegetation and close to swamps in woodlands. 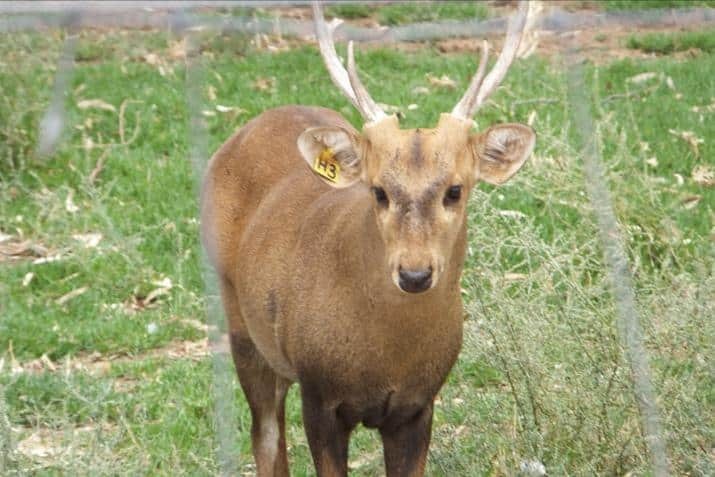 The Hog Deer are low, stocky built animals with a muscular body and measure approximately 70cm at shoulder height. Built as a creeper, the hog deer has relatively short legs with its body being lower in the front than the back. The face is short and wedge-shaped. They are brown with a yellowish or reddish tinge and sometimes have a speckled appearance as some hairs have white tips. There is a darker band running down the spine. Young calves are sometimes spotted. Males bear three-tined antlers, mounted on short pedicels on the forehead, which may grow up to 60cm. Hog deer can weigh between 50 -110kgs. 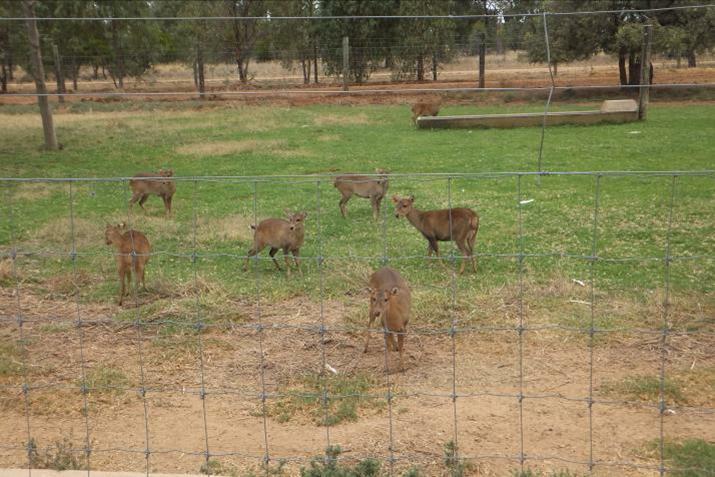 Group Structure: The Hog Deer are solitary animals and not found in large herds. They make a whistling sound when alarmed and give a warning bark. They have a habit of rushing through grass with their head down like a pig, rather than bounding or leaping over obstacles like other deer species. Diet: Their diet consists of grass, leaves, young shoots, herbaceous plants and riverside vegetation. Reproduction: After approximately 6 months the female gives birth to 1, rarely 2 young (calves). Natural Predators: Leopards, wild dogs and crocodiles.